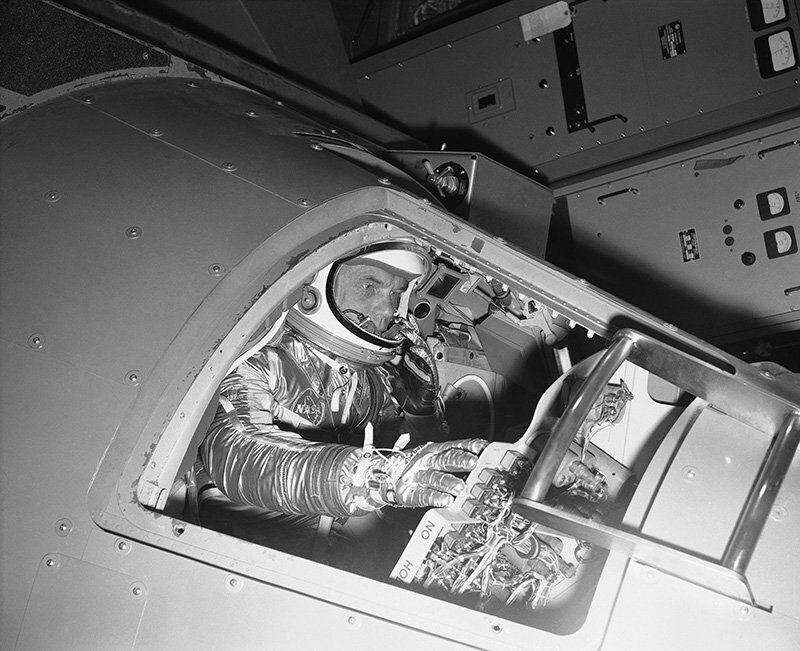 Marine Lt. Col. John Glenn, in a space flight suit, sits in a cradle inside a Mercury capsule procedures trainer as he shows how the first U.S. astronaut will ride through space. Glenn reaches for some of the controls which fill the capsule. The demonstration was held at the National Aeronautics and Space Administration Research Center in Virginia on Jan. 11, 1961.